Jack replacement – Midwest will provide turnkey service for full jack replacement: survey and measure the project, supply and install the equipment and materials for the new jack assembly, and arrange for inspection of the car. Midwest will provide service for partial jack replacement: the elevator contractor provides all equipment and materials and Midwest installs the jack unit and arranges for inspection of the car. Midwest will provide service to modify, repair or re-drill existing jack holes to accommodate PVC and/or new equipment during this process. Elevator decommission – Midwest will provide service to decommission a hydraulic elevator from a temporary decommission up to or including fully removing the elevator equipment, the jack unit, abandoning/sealing the elevator jack hole, bolting the doors closed, and arranging for final inspection. Midwest will provide service to decommission a traction elevator from a temporary decommission up to or including fully removing the elevator equipment, bolting the doors closed, and arranging for final inspection. Escalator removal – Midwest will provide service to dismantle, remove and dispose of escalator(s). Material Lifts – Midwest will supply and install material lifts for applications where an elevator is not needed. We can also perform all building work related to this type of installation. 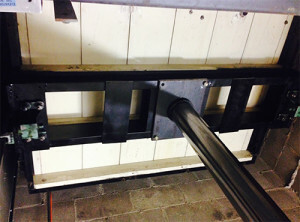 Bolster – Midwest can supply and install an engineered bolster channel to the elevator. The bolster will meet the requirements of total gross load and be approved by the AHJ prior to installation. 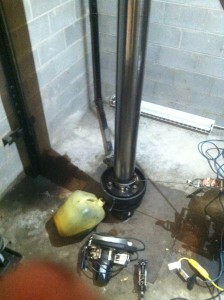 This process is usually installed on old R&O installation by can be applied to any elevator.